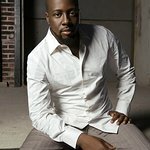 Wyclef Jean has teamed up with outdoor clothing brand Timberland to launch a range of eco-friendly footwear to aid the redevelopment of his native Haiti. The new collection features 16 different designs, and $2 from the sale of each pair will go to the musician’s Yéle Haiti Foundation to help with reforestation. Jean founded the charity in 2005 to make a difference in education, health, environment and community development in his native country. “I really think that we’re going to sell a whole lot of boots and I really think we’re going plant a whole lot of trees in Haiti,” said Jean. 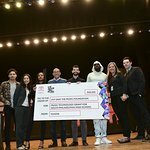 A line of T-shirts designed by Haitian children will also be sold at the singer’s concerts, as well as organic shirts and headwear. To find out more about the boots, which will be launched in 2010, click here.